Dominican Republican has the best prices in the Caribbean! Considered the No. 1 destination for golf in the Caribbean and Latin America, the country boasts 25 top courses. Offering plush accommodations and romantic scenery resorts in the Dominican Republic are the perfect choice for destination for weddings and honeymoons. Discovered by Christopher Columbus, the nation shares the Island of Hispaniola with Haiti. The capital city, Santo Domingo, is the oldest in the New World. Its Colonial City, with its charming cobblestone streets and historic stone architecture, is a UNESCO World Heritage Site. The country’s official language is Spanish. Play a round of golf in La Romana on the east coast or explore its recreated 16th-century Mediterranean village of Altos de Chavón. Visit La Costa del Coco, or the Coconut Coast, of Punta Cana on the country’s easternmost tip for ziplining, sailing, windsurfing, kayaking or simply lounging on one of their long stretches of sand and watching the world go by. Gran Bahia Principe La Romana from $219* pp 3 nights All Inclusive. Located on the beach, 15 min from La Romana airport *Per person based on double occupancy. Ask about confirmed air options. Rates are based on round-trip air travel from Miami, Florida (MIA) to Dom. 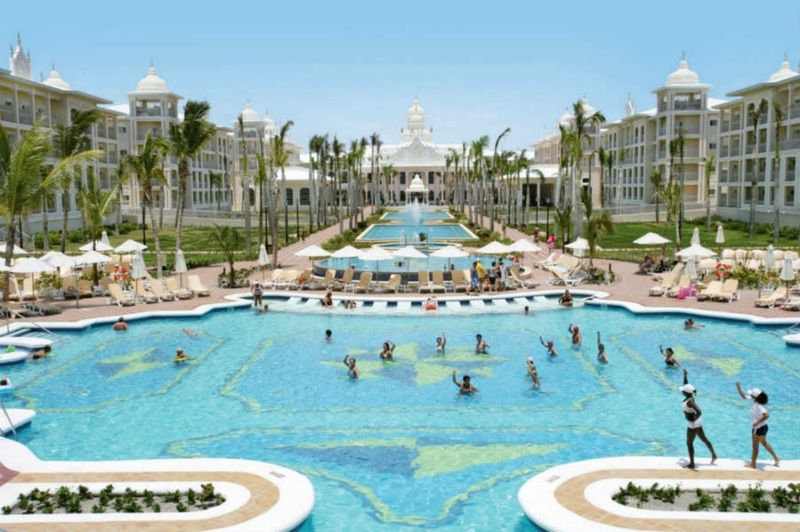 Republic, Punta Cana, and are subject to airline and/or resort availability. Rates quoted are per person, based on double occupancy unless otherwise stated. Advertised vacation rate(s) valid for select travel, Nov 12, 2018. Escape to an exciting all-adult destination, where captivating beauty and chic style combine with non-stop adventure and Unlimited-Luxury®. Relax in your stylish suite featuring spectacular views of the ocean, pool and lush tropical gardens. Breathless Punta Cana features 750 guest suites combining contemporary and traditional Caribbean décor. All pricing shown is per person based on double occupancy and date sensitive. 3 Night minimum stay. Ask about transfers, confirmed air options and additional nights.